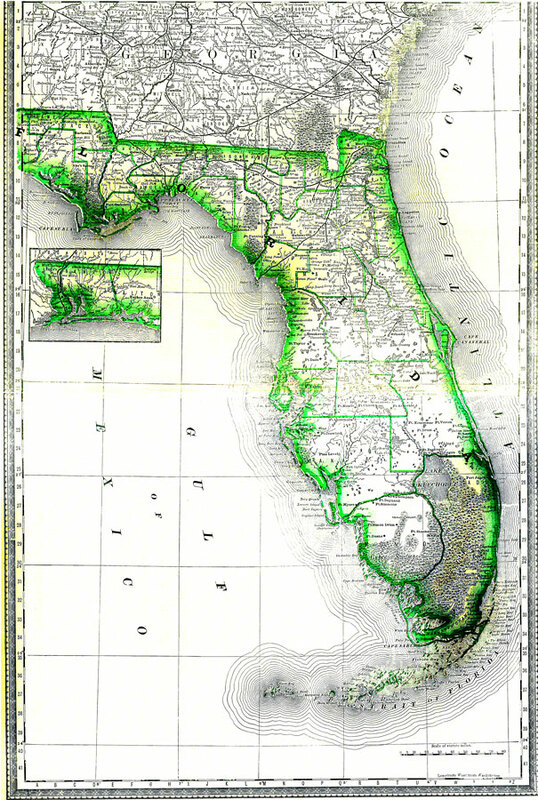 Description: A map of Florida showing counties, county seats, railroads, rivers, and cities current to 1880. The Everglades are also shown on this map. Longitude is from the Washington Meridian. The Northwestern portion of the state is included in an inset map.